Time for a New Roof? Advantages of Tearing off your old roof. If it’s time to replace your old asphalt shingle roof, one of the decisions you may be facing is whether to put new roofing shingles over your existing roof (a “recover”) or tear off the original and start afresh. A recover option is one way to reduce your short term financial outlay, but is not always the best investment. A recover option is not always available, for example, if your roof already has multiple layers, curled shingles on your existing surface or the existence of any rot or mold a recover option is simply not viable. 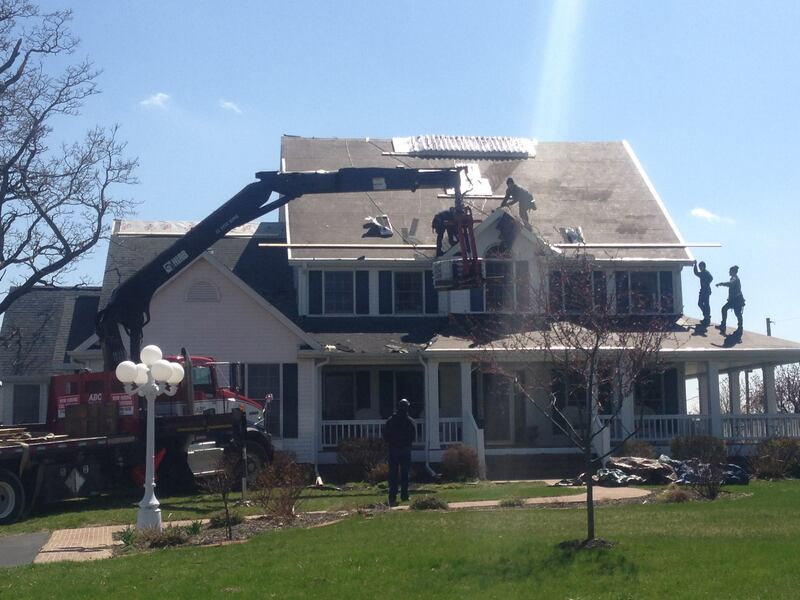 If a roofing contractor recommends recovering a roof in very bad condition – always get a second opinion. It is possible the contractor is seeking to cut corners with your job and install a roof that will only be, at best, a temporary curb appeal boost. At Shadow Ridge Roofing, we always walk a roof to get a good idea of the quality and extent of decay. If your existing roof does not suffer these issues then a recover could you considerable money in the short term, yet there are still downsides to consider. For example, recovered roofs have a negative impact on your properties resale value and carry certain risks. As experienced roofing contractors, we consider it our job to help homeowners come to the best solution for their budget and their roof – and each roof will be different, so don’t hesitate to contact us for a free evaluation. With that in mind, here are some general pros and cons to help you understand the issues that will impact your decisions. Your roof deck can be thoroughly inspected and any damaged and rotten sections can be replaced. Your home will have greater value at resale the fewer roofing layers it has. High risk areas like valleys, eaves, rakes, sidewalls, and chimneys can be checked. New flashing assemblies can be installed. A tear-off will typically outlast a recover by a number of years. This is mostly due to the fact that less heat gets trapped in the roof (due to no additional insulating “layers” of roofing). This heat will curl and damage your shingles over time.